A television adaptation of P.G. 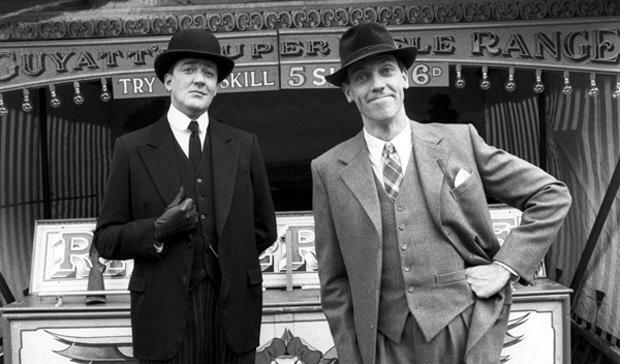 Wodehouse's famous duo, Jeeves the archetypal English valet (Stephen Fry), and his master, the inimitable young man about town, Bertie Wooster (Hugh Laurie). 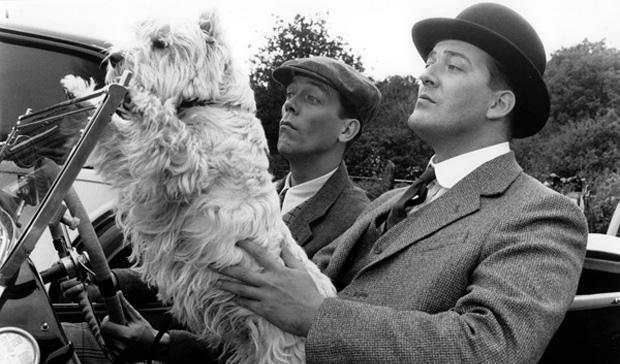 Jeeves and Wooster beautifully captures the world of the upper crust English dandy, with more money than sense, dashing around on his frightfully important pursuits, getting tipsy at parties in town, visiting his country seats and those of his aristocratic friends, avoiding responsibility and remaining a bachelor. 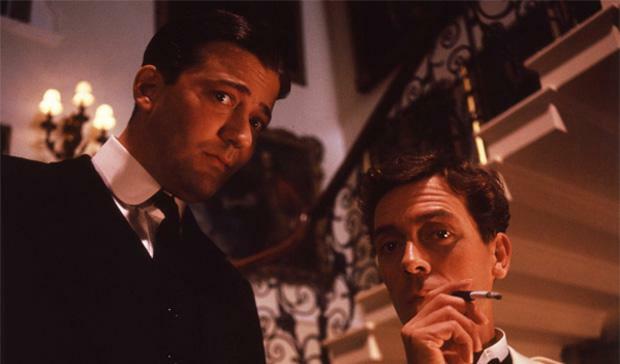 Fortunately for Bertie Wooster, the artful Jeeves can always be relied upon to save the day, and clear up any misunderstandings.